In a crazy, yet somehow completely unsurprising move yesterday afternoon, Motorola began pushing Android 5.0 “Lollipop” to the “Pure Edition” of its brand new Moto X (2nd gen) in a soak test. We talked about this on the DL Show the other day, mentioning the fact that it wouldn’t surprise us if Motorola was the first to get Lollipop ready and make it available within about a week. But even I would be lying if I said I wasn’t surprised by it showing up before the weekend. So you are all clear, Motorola is only pushing this Lollipop build, which is Motorola system version 22.11.5, to members of their feedback network who own the “Pure Edition” Moto X. This isn’t an over-the-air (OTA) update that you can try and pull to install. They are soak testing to try and find bugs before going ahead and making it official for all. But even once they do make it official, it will be for the “Pure Edition” only, as the other carrier variants likely still need approval. With that thought fresh in your mind (again), this is yet another opportunity for us to remind you that this is the version of the Moto X to buy, assuming you aren’t on Verizon. Motorola told us that the “Pure Edition” would be their baby, and that it would be the first to receive updates since there would be no carrier interference with this particular model. They are delivering on that promise. 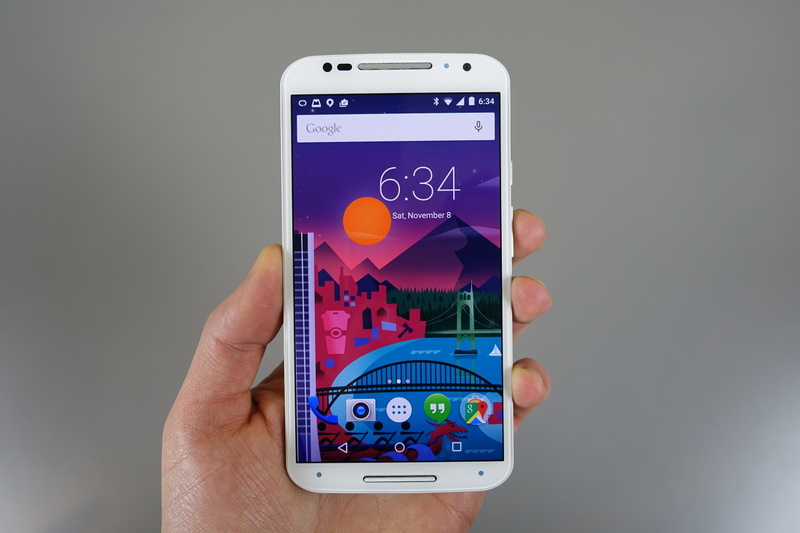 And with all of that out of the way, let’s talk Lollipop on the Moto X! So yes, we have the soak test build up and running on our “Pure Edition” and it is glorious. It’s incredibly speedy, responsive, and beautiful. You have options for Ambient Display or Moto Display, Adaptive Display also joins the party, new battery stats are there, as is the new lock screen, quick settings toggles, animations, and more. This is pure Lollipop goodness, brought to you by Motorola, so it also has their suite of Moto add-ons, like Voice, Display, Actions, and Assist to make it even better. To see it all in action, hit up our 9-minute video below. Note: If you would like to try out the update, you can do so by sideloading the .zip file that was pulled from the soak test. That’s what I have done and am currently experiencing no problems, but then again, I have only had the build up and running for a couple of hours. Keep in mind that this is indeed still a test build for now and there could be issues that I just haven’t discovered yet. If you own the Moto X (2nd gen) “Pure Edition,” you can find the .zip file at this XDA thread. You have to have the Moto X (2nd gen) “Pure Edition,” otherwise, don’t even attempt this. The file needs to be flashed using the “adb sideload” command, which we have full instructions for here. Follow those steps correctly on your “Pure Edition” and you will be up and running Android 5.0 in no time. Note 2: The wallpaper is from nowPaper, an app we highly recommend for all wallpaper junkies.